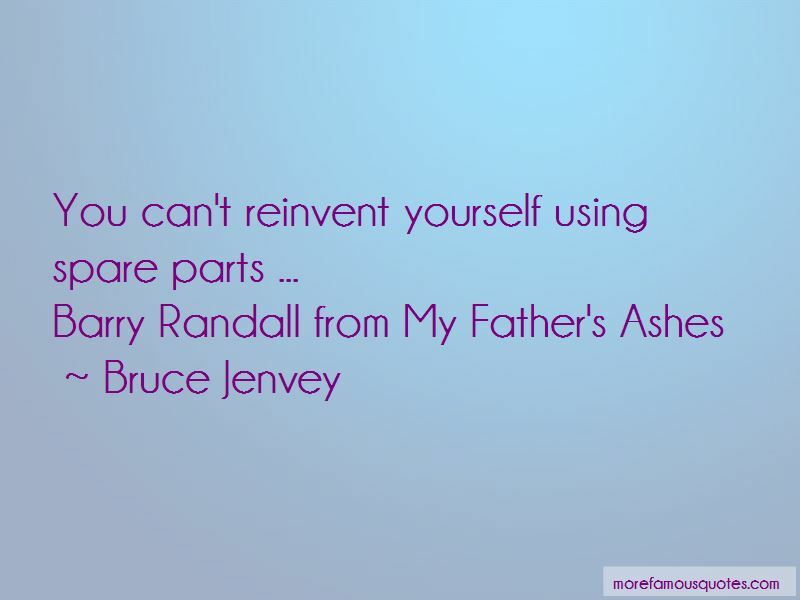 Enjoy the top 20 famous quotes, sayings and quotations by Bruce Jenvey. “What are a few false promises among friends, angel?" "Theyre the difference between you and me ... thats what they are." The loneliest place to spend eternity is your own life after you can't change it anymore. 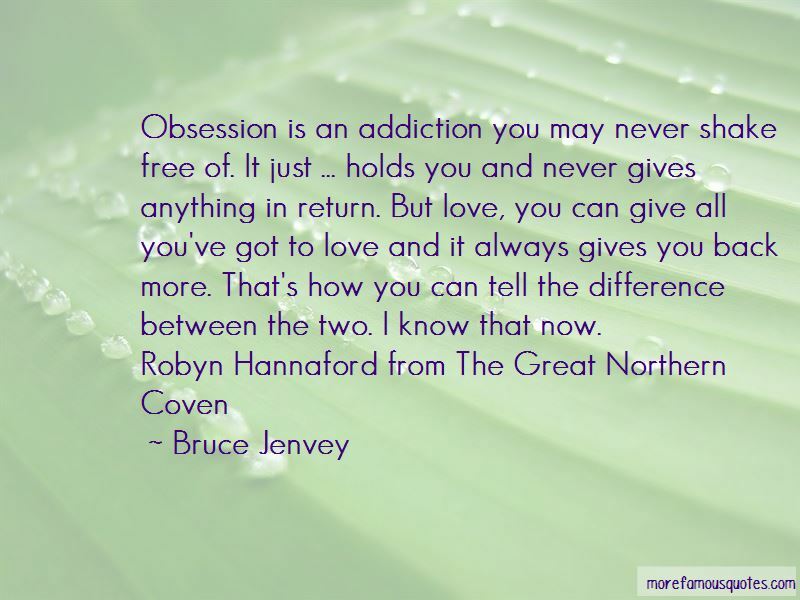 Obsession is an addiction you may never shake free of. It just ... holds you and never gives anything in return. But love, you can give all you've got to love and it always gives you back more. That's how you can tell the difference between the two. I know that now. War changes everything. The world is never the same after a war. Any war. There are holes ... missing parts ... The best you can do is pick up the pieces that are left and start to build again. It'll never be the way it was before. I actually cook and eat real food, too. No roast Hansel, no grilled Gretel ... I promise. "They're the difference between you and me ... that's what they are." water ... and what fun would that be? I haven't baked a child in ... decades! “People who buy the little jars and boxes aren't staying. They only want enough to last them while they're here. “Oh, Lady Emma ... I like to think there's a little bit of witch in all of us. Don't you agree? “Dear, Mr. Ajax ... don't ye know ... the fires of Hell are stoked by righteous lawyers! Tis a fact it is. All that hot air ... How'd ya think they get that Brimstone so hot? “Let me get this straight: You want to poison me nearly to death, put me out to the side of the road and then set me on fire, right?" " ... It sounded a lot better when we were out in the mushroom patch." "Those must have been SOME mushrooms!" “Who told you I've been losing?" "Well, THERE'S your trouble! I've been lyin'!" “I know ... that's why you're down here and not enjoying some picnic in a golden meadow amongst the harps and puffy clouds. "It's for my tea," she explained. "Medicinal, you know." "Medicinal?" The Reverend tried to hide a smile. "Well, yeah," Maddy started to smile herself. "Without the brandy, it'd be just some crumpled up leaves floatin' in warm water ... and that'd just make me sick!" “Lucifer sharpened his gaze and focused on Ajax. "Yes ... I want you to drive over to New Jersey, load those two corpses into your car and take them back to the Italians ... personally"
"They haven't been in the water more than a week, Ajax." "Well," Lucifer's patience was fading, "If you tie them to the fenders like you're coming back from Deer Camp, the Italians might not find you quite as endearing ... "
“I don't know if you picked up on the elephant in the room ... but we're witches. Angela, Andrea, me, and Evelyn and Celia back home. 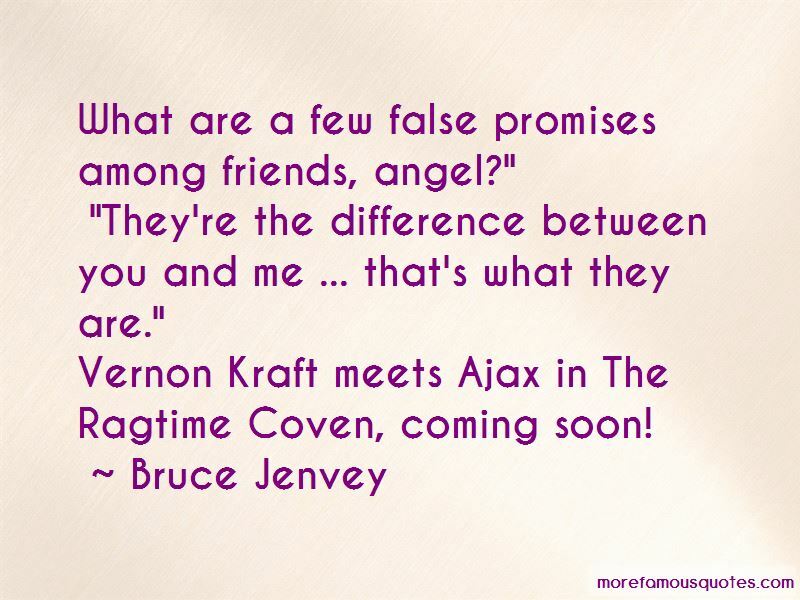 Want to see more pictures of Bruce Jenvey quotes? 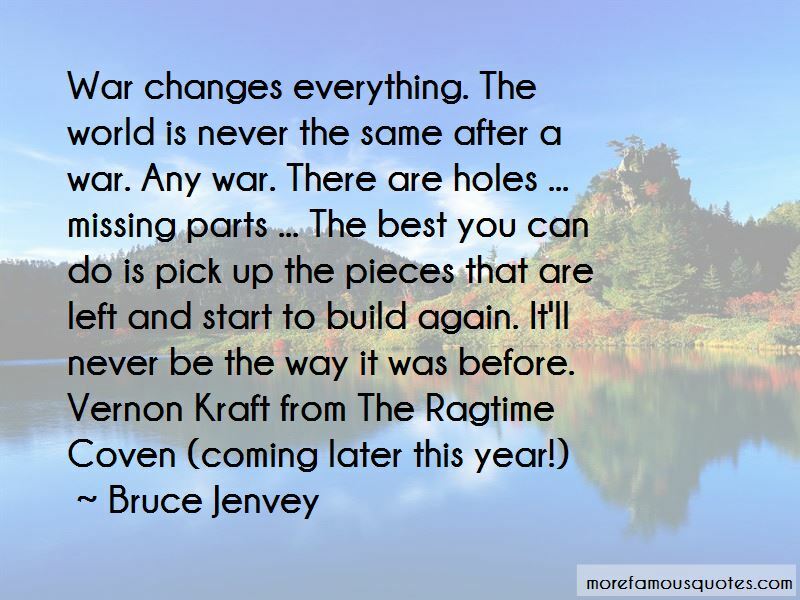 Click on image of Bruce Jenvey quotes to view full size.